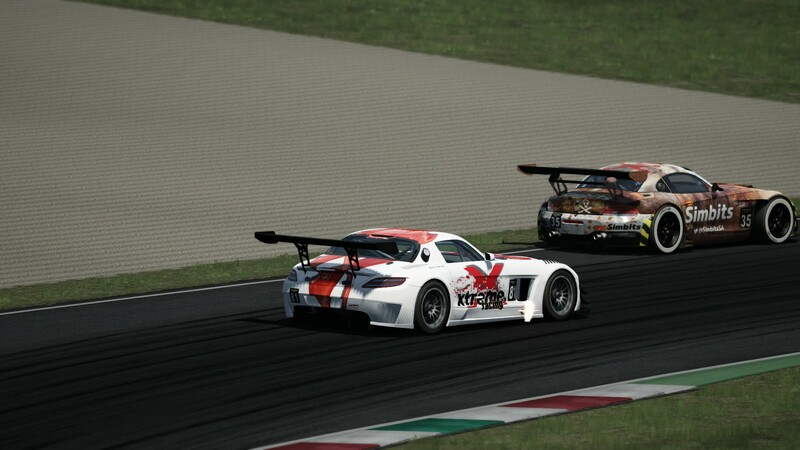 Markus Steyn (Rebel GhostworX) won the 2nd race of the SA simGT round at Mugello. The start saw an impressive spectacle of all 13 cars jostling for positions throughout the opening stages. The field stayed in close quarters through the opening laps. Starting from pole position Steyn was passed by Jonathan Bentz (Squadro GhostworX) at San Donato (turn 1). Later Steyn would find himself back at the front, after Bentz fell back to 6th position after leaving the track at Correntaio (turn 12). Bentz’s trip through the gravel trap also promoted Chris Browne (GhostworX 3.0) and Boyd Bryson (Xtreme Racing) to 2nd and 3rd positions respectively. Browne would prove to be the quicker the two to edge closer to Steyn. Later an exciting battle was had for 3rd position between Bryson and Jade Dafel (Nexus Racing). The Mercedes of Bryson was able to use its impressive grunt down the straights to negate the BMW’s advantage through the corners. Dafel unfortunately fell back from Bryson after a short excursion. Bryson presses Steyn on the final lap. By lap 5 Browne, having closed the gap, was set to take the fight to Steyn until a spin at Poggio Secco (turn 3) dropped him down to 8th position. 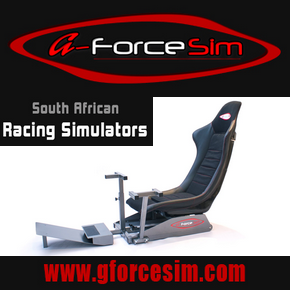 On the final lap it would Bryson who would press Steyn for an error however it was not to come as Steyn crossed the line to claim his first victory of the 2014.2 SA simGT season. 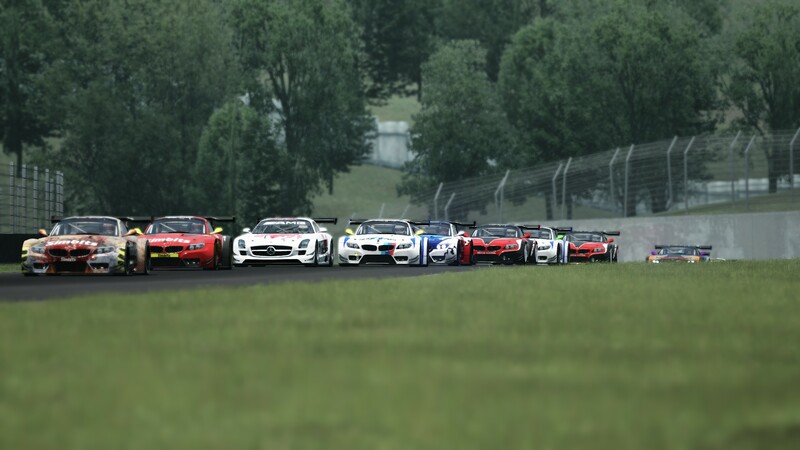 Squadro GhostworX having clinched the Team’s Championship during the last race, the Drivers Championship title fight will go down to the final round at Spa-Francorchamps. 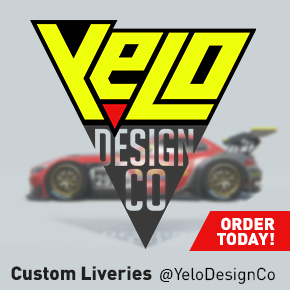 Steyn recalls: “I had a fantastic start, but Jono obviously had great gearing and a good start as I was so surprised to see him next to me going into turn one, I had to brake slightly earlier due to not being on the preferred side of the track, WD to Chris who managed not to scratch his paint on my rust, my car always felt epic first 3 laps, which helped me to stay with Jono and provide some pressure I hoped, jono made a slight mistake touched grass which just pulled him in, and I was in the lead with Chris right behind, managed to pull a slight gap, but I think it was due to those first 3 epic laps for the car, and a bit of help from Boyd who was hassling Chris. Chris caught up, was all over me I was absolutely on the limit trying to break away, didn’t happen, I was sure he made a setup change since R1 as I didn’t pull away in straights anymore like R1, Chris later confirmed he just adjusted to a better exit line on the straight! WD man, I thought this was gonna be another blood sweat drive until I saw Chris spinning…and saw the white menacing looking Merc of Boyd filling the Void.. I knew then it’s not over, decided to stick to my lines and focus on not making any mistakes, decided to not get sucked in to mirror watching, it seemed to have worked as we were yo-yoing a bit, but Boyd was always a couple of 10ths faster each lap, he got close and I just stuck to my lines and focused really hard on corner exists, cause I knew that merc has some straight line speed, this seemed to have paid off!! Almost lost it final lap due to a stink bug but that’s another story, was really chuffed to cross the line with Boyd right on my tail lights and Jade was always in the backround he seemed to have had an epic drive too. *** Race shortened to 10 laps to negate overwhelming server issues during the would be final lap.